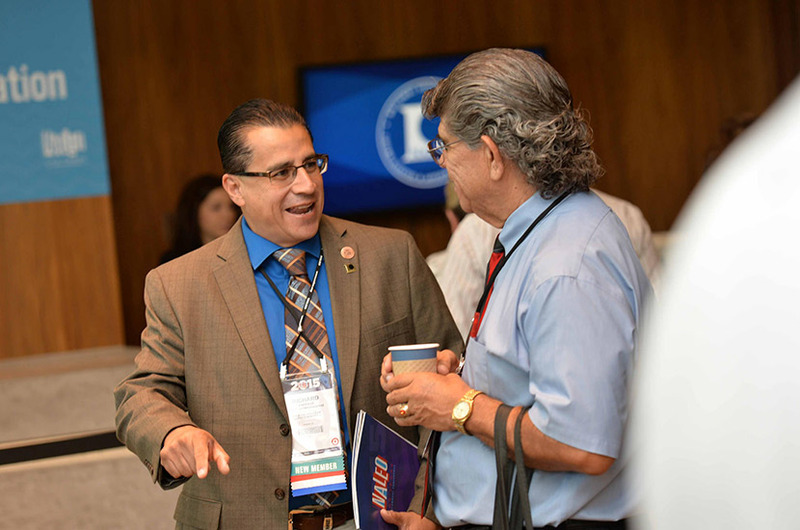 The NALEO 33rd Annual Conference is unlike any other professional development gathering for elected and appointed officials. It presents an unparalleled opportunity for Latino policymakers to meet with their colleagues from all levels of government to address the challenges and opportunities facing our communities and our nation. The NALEO Annual Conference provides a venue for the meaningful exchange of ideas and solutions to today’s most pressing policy issues. Exposure to early investments in quality childcare interactions and services have the potential to bring long-term academic, socio-emotional, and economic bene ts for children and their families. According to the U.S. Census Bureau, Latino children comprise 25 percent of the children population (birth to nine) across the United States. However, approximately one in two Latino children under the age of six are not enrolled in any type of early child care service. As a nation, if we want young children to be school ready when they enter K-12, then it is critical that Latino children have access to high quality child care services to help meet our long-term education goals. The cost, requirements, application processes, and provider availability can present barriers to enroll children in quality child care. This session will provide policymakers with the opportunity to learn more about the current gaps and status in access, enrollment, and cost of child care. National experts will also highlight available funding sources and share best practices to sustain the long-term bene ts of early investments in quality child care. According to the Substance Abuse and Mental Health Services Administration’s 2014 National Survey on Drug Use and Health, an estimated 43.6 million adult Americans experienced some form of mental illness. With significant cut backs on mental health spending, vulnerable populations including the homeless and veterans, are ending up in the criminal justice system instead of treatment. According to the Bureau of Justice Statistics, individuals with mental health needs make up a large proportion of the U.S. correctional population. An estimated 45 percent of federal prisoners, 56 percent of state prisoners, and 64 percent of jail inmates suffer from mental health problems. Given these high percentages, it is important to understand how to identify and provide early intervention for vulnerable populations who suffer from mental health illness. This session will provide participants with a deeper understanding of how effective local behavioral health services, programs and policies can reduce the societal and economic costs of holding mentally ill offenders in jails and prisons rather than receiving appropriate treatment services. Many American cities are faced with critical shortages in affordable housing for low and middle income households. Addressing these issues is particularly challenging as communities continue to recover from budget shortfalls and the economic downturn. Low income families find it difficult to cope with the rising cost of rentals while the burden of high cost homes is also affecting middle class families who do not feel the American Dream of home ownership is within their reach. To address this, cities are turning to public private partnerships and are being more creative in their policies to address the needs of their communities. In this session, participants will learn about various strategies being implemented across the country to make affordable housing a reality and will highlight “tools” available to local policymakers for crafting creative incentives to increase access to affordable housing. Each election season reveals new evidence of the diverse impact of Latinos on America’s political landscape. From local elections to the Presidency, Latino voters are an increasingly vital factor in any successful campaign. As the nation’s fastest growing electorate, Latino voters can play a decisive role in the outcome of the 2016 Presidential contest and key races throughout the nation. The key remains in mobilizing them to participate in our electoral process. This plenary discussion will focus on the critical role of the Latino vote in Election 2016, and efforts to expand and mobilize the Latino electorate. On December 10, 2015, the Every Student Succeeds Act (ESSA), which reauthorized its predecessor, the No Child Left Behind Act (NCLB), was signed into federal law. With a key goal to ensure that every student graduates from high school college- and career-ready, ESSA is intended to empower and support states’ flexibility to develop and implement high-quality assessments which will allow local school leaders, including parents, to improve student academic achievement. It is crucial for parents to be informed and involved as states and school districts begin to work on their assessment plans. Parents have the opportunity to provide input on how students will be assessed, what content students will be tested on, and what support services will be available for families to become engaged. In this session, policymakers will learn about the importance of incorporating effective and culturally-relevant opportunities for families to become informed and engaged around academic assessments that support student achievement. While women have made gains in political office and public service, more work and support systems are needed to ensure Latinas can successfully run for office and grow their political careers. As the Latino population continues to grow, leadership opportunities will open across all sectors of our communities. Critical among these are the leadership roles in local school boards and cities, to the highest ranks of service in Congress and the federal government. This session will explore the often little talked about factors that play a critical role in Latinas getting elected to public office and advancing politically, from asking others for support to reaching key leadership posts. This candid conversation will challenge Latinas to consider the possibilities for their future in public service and how to support other women along the way. According to the Congressional Research Service, the federal prison population grew by nearly 800% since 1980. At the same time, states have faced strained budgets and fiscal realities that have forced policymakers to come to terms with America’s approach to mass incarceration. Policies that supported getting “tough on crime” helped to fuel using the criminal justice system as a way of dealing with nonviolent crimes and other societal ills including poverty, substance abuse, mental illness and homelessness. The mass incarceration of parents also has a devastating toll on children, families, and communities and present various obstacles to assuming their roles as caregivers, employees, and neighbors upon re-entry. This session will explore the growing bipartisan support across the country in favor of criminal justice reform and the policies that can more effectively address successful rehabilitation, re-entry, and reduced recidivism of those in the criminal justice system. The NALEO 40th Anniversary Celebration will honor our past, engage our present and celebrate our future by honoring two distinguished Latino public servants who have played a critical role in the organization’s history and whose work on behalf of the American people upholds the values of our great nation. We are proud to recognize one of NALEO’s founding members, Congressman Robert Garcia, with the presentation of the 2016 NALEO President’s Award. The evening will also include the presentation of the prestigious El Premio Ohtli Award which the Government of Mexico will bestow to the Honorable Julian Castro. In a changing global economy, a postsecondary degree is still considered the best investment a student can make, but recently has also come with a substantial financial risk to families and students. In 2012, the College Board reported that 31 percent of Latino bachelor’s degree recipients accrued $30,000 or more in student debt. This session will provide policymakers with an update on Latino borrowing trends and will highlight current federal efforts to make a postsecondary degree more affordable to students as well as expand on repayment options that will make it more feasible to reduce student debt. •	Dr. Marshall Steinbaum, Economist, Washington, D.C. Leading up to, and since the Paris Agreement, climate change has made headlines around the world. In the United States, polling has consistently demonstrated that Latinos are genuinely interested in how climate change affects their communities and families. According to a 2015 poll by Latino Decisions on environmental attitudes, 78percent of Latinos say they have directly experienced the effects of climate change. Over two-thirds of Latinos say air pollution and contaminants in drinking water are somewhat to very serious threats to the health of their families. This session will explore the risks Latinos face with regard to the effects of climate change and will highlight strategies state and local policymakers can undertake to address these concerns while strengthening their capacity to engage in environmental issues. In 2015, the U.S. House of Representatives passed the first long-term surface transportation authorization and funding bill in nearly a decade. The bill authorizes $325 billion in federal funding for critical transportation projects over the next six years and will have a significant impact on how communities grow. This session will provide policymakers with an overview of the transportation legislation and highlight innovative approaches regions across the country are taking to plan for and manage their future transportation system needs. Latinos are nation’s second largest population group and increasingly influential segment of the electorate. Today, more than 6,100 Latino elected officials serve in elected office nationwide. Latinos are playing a greater role in shaping the future of our country and our domestic and foreign policies, and the world has taken note. This discussion among Ambassadors and leaders from Canada, Israel, and Mexico will explore how their governments are engaging Latino policymakers in the United States and the role they play on issues important to their countries and the world. Under the Affordable Care Act, millions of previously uninsured Americans have become eligible for health insurance. With an increase in the number of insured Americans, and corresponding increases in costs and claims, state legislatures across the country are debating various policy strategies ranging from transparency laws to provider reimbursement rates and models. As the discussions continue in state capitols across the country, it is important that policymakers understand these complex health policy issues and how they will affect the constituents they represent. This session will provide participants with an overview of the options states are considering for containing or reducing health costs and improving efficiency in health care. One of the fundamental duties of public officials includes overseeing and deciding how to spend a community’s resources to best meet their needs. As past and current generations of policymakers have learned, a community’s fiscal health is stronger when it has planned to effectively weather downturns in the U.S. economy. This session will provide participants with a primer on some of the most vital and important economic indicators that can help them evaluate the health of the U.S. economy in relation to their community’s financial outlook and plans. •	Dr. Eugenio J. Alemán, Director, Senior Economist, Wells Fargo & Co. The decades old debate around rights granted under the Second Amendment and gun violence continues to dominate headlines across the country. According to a report by the Violence Policy Center, fatal gun violence has a disproportionate impact on the Latino community, particularly young Latinos. Homicide is the second leading cause of death for Latinos ages 15-24. In the face of these statistics, there is a growing call to address gun violence as a public health crisis that requires resources, research and reliable data that can help inform policy development. This session will explore the complex intersection around gun rights, gun violence and the role policymakers are playing in addressing these issues in their local communities. The Welcome to Dallas Reception, where BIG things happen, will celebrate NALEO’s 34th Annual Conference destination of Dallas, Texas, and will feature a select menu of regional cuisine along with special guest appearances by local NALEO leadership. The reception formally kicks off the 34th annual gathering of Latino elected and appointed officials in the country, and the nation’s premier Latino Political Convention. Enjoy a private guided tour of numerous Washington D.C. historic landmarks, by night, in a state-of-the-art luxury passenger coach. Take in the magnificent floodlit Lincoln Memorial, Vietnam Veterans Memorial Wall, Korean War Veterans Memorial, Martin Luther King Memorial as well as the Jefferson Memorial reflected in the Tidal Basin among several other monuments as you listen to your guide’s knowledgeable commentary. After this tour you will know why the nation’s capital is considered one the world’s most beautiful cities at night. NALEO actively advocates for federal policies to help ensure Latinos have full access to our nation’s democracy, and NALEO members play a key role in our advocacy efforts. This session will feature an update on our work on the 2020 Census, naturalization, immigrant integration, and voting rights. 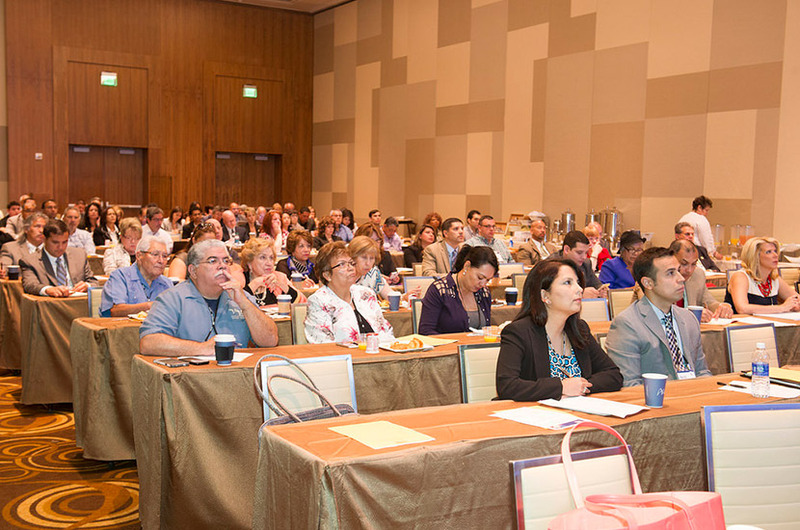 Government agencies throughout the country have begun to realize that just like consumer trends around the use of technology have evolved, so has the way citizens expect to connect, engage, and interact with their local government and elected representatives. At the same time, the need for delivering services and meeting the needs of constituents with fewer resources has increased. The effective use of technology presents an opportunity for local government to make better decisions based on data, streamline services in a more cost-effective manner, and create an experience for constituents that is more responsive and transparent. This session will explore the increasing use of Civic Technology, how to build a sustainable digital infrastructure for it, and how to ensure that it can meet the needs of and engage diverse segments of our communities. As the United States continues to become more diverse, Latinos are a significant factor behind this demographic change. This means that the role of the Latino community in shaping our country’s future economic and civic strength and prosperity is more significant than ever. This session will provide an overview of the state of Latinos with regard to several important economic and social indicators. The discussion will also explore the policy challenges and opportunities that exist in supporting the success of the Latino community as it contributes to America’s future vitality. Celebrate the conclusion of the NALEO 33rd Annual Conference in a Washington D.C. landmark institution by enjoying an elegant evening reception in homage to the Omni Shoreham Hotel’s presidential history. Guests will relish a sophisticated evening reminiscent of a bygone era as they partake in scrumptious food and beverages. The evening will conclude with a chance to dance the night away as we transition to the NALEO 34th Annual Conference in Dallas, Texas. 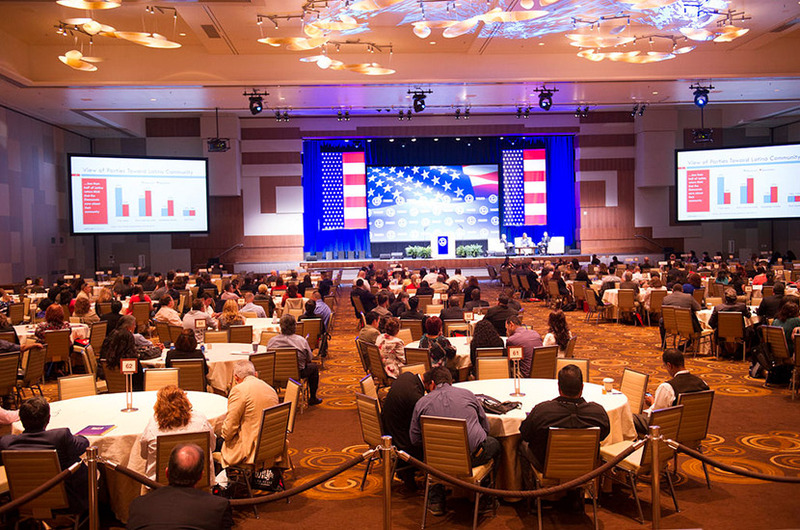 Access to all Conference Sessions, Meals, and NALEO Evening Events. *Current student ID must be provided upon check-in. 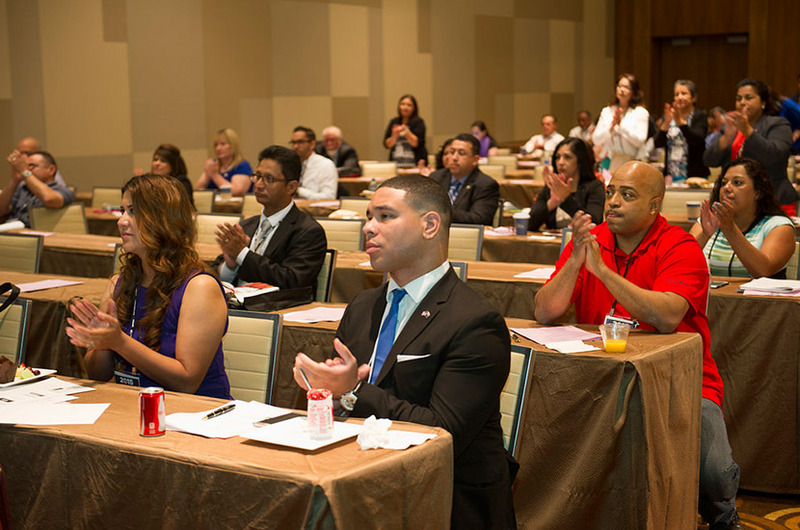 NALEO Conference Participants must register for the Conference before being able to reserve a room. Once your registration is processed online, you will receive a confirmation e-mail with the link to the hotel for reservation under the NALEO Conference room block. Please note that the hotel will not accept telephone reservations and the deadline to make reservations at the NALEO group rate is Friday, June 3, 2016.